I went to college; got married, had my son, divorced, moved to Texas in 2000, remarried & am currently loving life in San Antonio. My family is my main means of entertainment, and my husband Chris is terrific. Chris is a financial analyst for Humana Insurance. Rhonda Collins Yeatts has a birthday today. 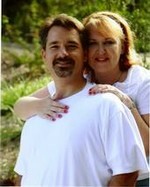 Rhonda Collins Yeatts updated profile. View.